Should a five year old be responsible for being obese? Drinking diet sodas increases the urge to eat more! Sugar is more addicting than cocaine! Calories from sugar are NOT the same as calories from other types of foods. As you are reaching for another diet soda, low fat yogurt, or low calorie dessert, you are compromising your health by increasing the risk for metabolic syndrome, diabetes and obesity. The artificial sugar substitutes increase feeling of hunger and encourage you to eat more while the low fat foods are made more appetizing by adding sugar (Lustig, 2012; Lustig et al, 2012). 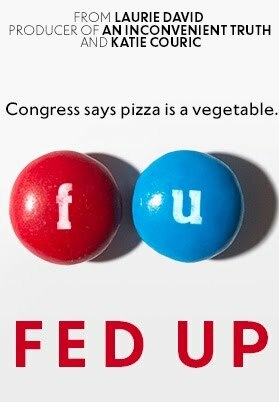 As sugar is more addicting than cocaine (Ahmed et al, 2013; Lenoir et al, 2013), how can you assign personal responsibility to young child who is obese with the statement, “You are responsible for being fat and for eating too much sugar laced foods!” Watch the superb documentary, Fed Up, based upon impeccable science. It explores America’s obesity epidemic and the food industry’s role in aggravating it. It systematically shows that everything we’ve been told about food and exercise especially by the food industry and federal government for the past 30 years is dead wrong. The documentary can easily be viewed from streaming video services such as Google Play, Netflix, or Amazon Prime Instant Video. For the impact of sugar on health and the myth of self-responsibility, watch the 2013 TEDxBermuda talk, Sugar–the elephant in the kitchen, by Robert Lustig, MD, Professor of Clinical Pediatrics, University of California, San Francisco. Increase local taxes on every soft drink sold and use the income to support public health. Demand that schools and public institutions serve children real food and not sugar laced fast foods. Support policies that prohibit sales of soft drinks to minors just as alcohol is prohibited to minors. Eliminate all soft drinks from public institutions and work sites just as smoking is prohibited. Lustig, R. H. (2012). Fat chance: beating the odds against sugar, processed food, obesity, and disease. Penguin. Now if only we can get our allopathic colleagues to come on board, and persuade the oncologists to remove the hard candies from their front office offerings to their patients, we will truly have made a major step in the right direction. I totally agree and it applies not only to doctors. One of my health education teachers drinks coca cola. She had a can on her desk in the first day of class. The next class, she had another can on her desk. However, this time two students were also drinking coca cola in class. I have never seen any students drink soda in health education classes before until the teacher did and set a bad example. Teachers are role models. One day we were talking about unhealthy food. The teacher pointed to the lemonade on her desk as an example of a sugary drink. She said “Those who can’t do, teach.” Except your students are modeling their behaviour after their instructors so be careful. Yes, it is not what we say, it is what we do. We learn by role modeling–mirror neurons.